Many Gujarati-speaking people search for a way to type Gujarati on their computer. Microsoft Windows provides the Shruti font for Gujarati; however, people are confused about how it's used in typing. I also attempted many times and failed to learn how to type Gujarati until I discovered how to enable Window's built-in language support, advantages of Unicode fonts such as Shruti, and keyboard layouts. This site is a result of these findings. 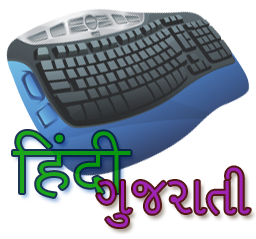 Hopefully, you will be able to learn how to type Gujarati on your computer from the information provided here. 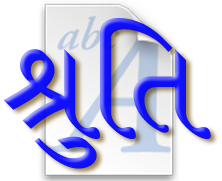 The following pages provide tutorials, Unicode character codes, methods of typing in Gujarati, and general information about Gujarati and Hindi. 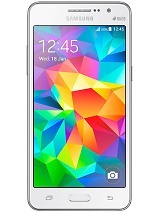 Samsung Phones included the Samsung Gujarathi font even before Google included in Lollipop. Moreover, Samsung includes a Gujarati keyboard to be able to type in Gujarati. I have a guide that shows you how to add the keyboard so that you can start typing Gujarati on your Samsung Devices. 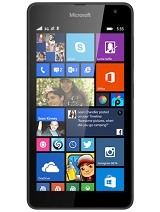 Windows 10 Mobile, the upgrade to Windows Phone 8.1 now supports being able to type Gujarati. It's as simple as going to Time & Language and adding Gujarati to your keyboards. In case you need a little guidance, however, I have this guide to help you. Starting with Android 5.0 and above, Google has added the Noto Sans Gujarati font to Android. Some devices from LG and Samsung may have it installed a different font. However, for Jellybean and Kitkat, there is a method to install the Gujarati font yourself with this guide. This guide is for advanced users who know how to root their device and install a custom recovery. I'm pleased to release my very own non-Unicode to Unicode text converter that works with text typed in Harikrishna and Harikrishna-like fonts, such as Ghanshyam, Yogi, Amrut, etc. In addition, you can now also transliterate Gujarati/Hindi Unicode and Non-Unicode text to English text. There are many websites and programs that transliterate English to Gujarati, but this is the first Gujarati to English. Hence, you can convert 'અનિર્દેશ ગુજરાતી' to 'anirdesha gujaraatee'. What is the Shruti Gujarati Font and How Do I Use It? If you have ever selected Shruti font in Microsoft Word and started typing, you were probably confused to see English being typed instead of Gujarati, as the Shruti font is for Gujarati. Using Shruti font requires changing the keyboard layout to Gujarati if you want to type Gujarati. This page discusses the benefits of Shruti font and how to type with it. Page: What is the Shruti Gujarati Font and How Do I Use It? If you want to get started with typing Gujarati, you need to install Gujarati language support in Windows first. This will open the door for being able to type with Shruti font. This page shows you step-by-step how to install Gujarati language support in Windows XP, Windows Vista, and Windows 7 along with pictures. Page: How to Install Gujarati Language Support in Windows | ગુજરાતીમાં : વીન્ડોઝમાં ગુજરાતી ભાશા આધાર સ્થાપીત કેવી રીતે કરવો ? What are Phonetic Fonts and a Phonetic Keyboard? ફોનેટીક ફોન્ટ્સ શું છે અને ફોનેટીક કીબોર્ડ શું છે ? Unicode is universal. Gujarati typed with Unicode fonts is discernible language. If you type Gujarati on a Windows computer, it will be recoginzed on Mac and Linux as the same language because it's universal. This page explains what the Unicode Standard is. Page: What is the Unicode Standard? Many people resort to Gujarati transliteration to type in Gujarati. There are even programs that can be installed in Windows that do transliteration in Microsoft Office Word. I do not prefer transliteration. It's an inferior method compared to the Gujarati Phonetic keyboard layout that I've created. This page explains what transliteration is and it's disadvantages and why I prefer the phonetic keyboard layout. Page: English - What is Gujarati Transliteration? | ગુજરાતીમાં - ટ્રેન્સલીટરેશન શું છે અને તેના ગેરફાયદા શું છે?